Posters featuring "Nazi-themed" images were found around the campus of the State University of New York at Purchase on Sunday, according to university police. 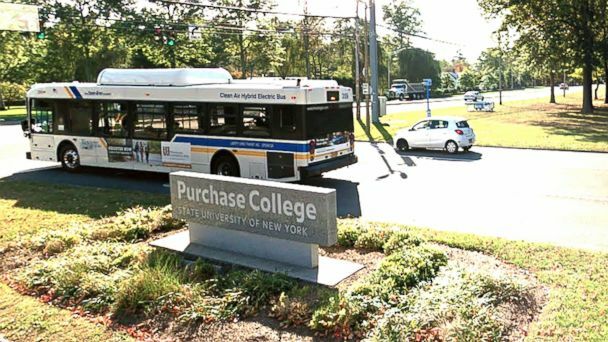 The fliers were found in "various spots around campus," Dennis Craig, officer-in-charge for the New York State University Police at Purchase College, said in a statement. The posters contained images of Adolf Hitler and swastikas, Betsy Aldredge, SUNY Purchase media relations specialist, told ABC News. A suspect has been identified, and university police are working with the Westchester District Attorney's Office on an investigation, Craig said. Ten percent of undergraduate students at SUNY Purchase are Jewish, according to the Hillel international's website. Messages of hate "have no place" on the SUNY Purchase campus, Craig said. "That this hateful act took place on the last night of Hanukkah when our Jewish community members were celebrating the survival of their religion, makes it even more reprehensible," he said. "Please know that these posters, and any message of anti-Semitism and intolerance, go against our core values of diversity, acceptance, and understanding. At Purchase, we are committed to ensuring that all members of the community are accepted and welcome, regardless of race, religion, ethnicity, gender, sexual orientation, background, or identity." New York Gov. Andrew Cuomo issued a statement saying he is "disgusted by the discovery of neo-Nazi fliers at SUNY Purchase." "I have directed the State Police Hate Crimes Unit to assist in the investigation," Cuomo said. "Those behind this noxious act should know that these fliers, far from inciting fear, will only harden our resolve to combat hate in all its forms."